The Government of India's Directorate of Film Festivals announced their 58th National Film Awards tonight in New Delhi. The National Film Awards is the leading film award given in India. The awards were dominated by Southern Indian films in the Tamil and Mayalayam language. The Best Feature Film was the Malayalam film Adaminte Makan Abu by Salim Ahamed. 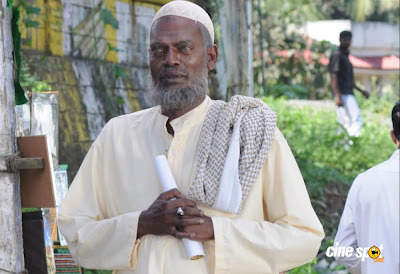 It also received best cinematography and best music direction, and shared the award for best actor (Salim Kumar). The Tamil film Aadukalam by Vetrimaran received the most trophies, taking a total of six for best director and original screenplay for Vetrimaran, actor (Dhaush), editing, choreography and special mention for V.I.S. Jayaraman. Dhaush was the co-recipient of the Best Actor award with Salim Kumar. Winners are selected by jury. For this year's awards, the Feature Films jury was headed by JP Dutta, the Non-Feature Films jury by AK Bir and Best Writing on Cinema jury was led by Ashok Vajpeyi. The Indian International Film Academy awards is an international awards presentation for Indian cinema that takes place in a different country every year. Next month, the 12th Annual IIFA's will take place in Toronto, Canada. It's not V.I.S. Jayaraman; it's V.I.S. Jayapalan who got special mention for Aadukalam. The information on the official site of the Directorate of Film Festivals says that the special mention went to V.I.S. Jayaraman.